I bought three of these with three of the add-on switches(12728) to add some home automation a couple rooms in my house and they have worked flawlessly so far. The pictures in the instructions do a pretty good job of helping translate from a usual 3-way setup to these switches. The wiring in my house has always been a mess but with a little testing of the wires I ended up getting them to work fine. Note that these are fairly bulky so if you have gang boxes and you're patient enough it may help to take everything out and shorten the lengths of wire that are unneeded. It took some pushing and using the screws to pull them all the way into the box due to everything behind them. I also had to break some pieces of plastic off my switch plates because they didn't want to sit close to the large metal face. 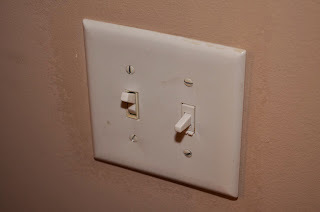 Important note- When attaching the switch plate, you may be tempted to use the screws that were already in it(assumin you are replacing existing switches). The package includes screws for a good reason; the standard ones are usually too long. You'll find that if you tighten a regular screw all the way in the light will suddenly turn off. I don't know if this is some sort of safety feature or if it is shorting the internal circuit, but I found that backing the screw out and cycling the air-gap switch fixed it. The default behavior is to slowly fade on and off but this can be changed through your home automation gateway. We'd prefer that they turn on/off instantly and that requires changing some settings. I have the Veralite and although I couldn't find any documentation there is some on different styles of GE Z-wave dimmers and that ended up working. In device options set Parameter 9 (number of steps. Valid Values: 1-99) to 99 and Parameter 10 (timing of the steps. Valid Values: 1-255) to 1. This affects the settings when using the physical switches. If you want to change how they behave with Z-wave control, use the same logic on parameters 7 and 8, respectively.